Relief cuts was another great learned technique learned at a KY Shaping Workshop 4/2012. Held at the Shaker Village KY. 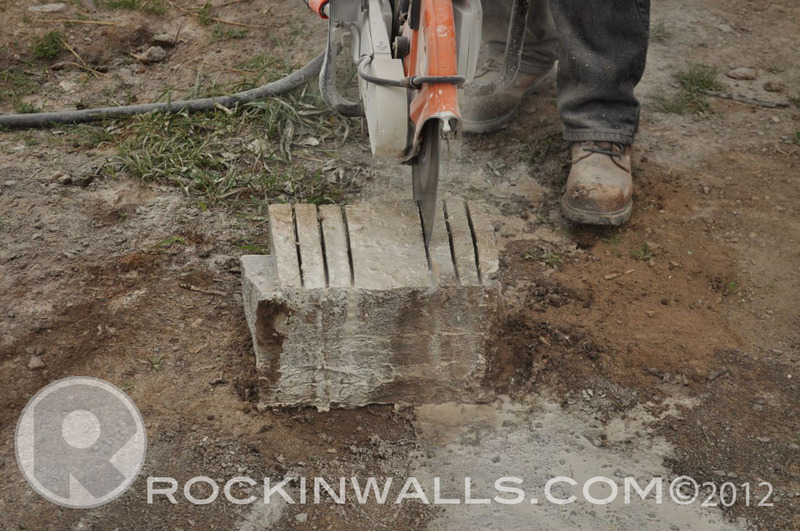 In this blog I'll show you what is called relief cuts or stock removal. As Shown this with his Stihl Gas saw hooked to water to keep the dust down. 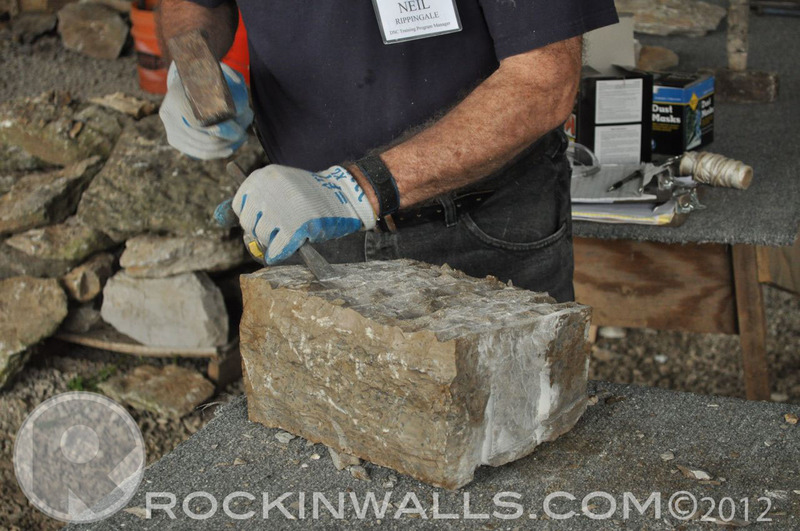 He first marks the stone by making small cuts first. Then he cuts the needed depth. Notice the cuts being spaced out. 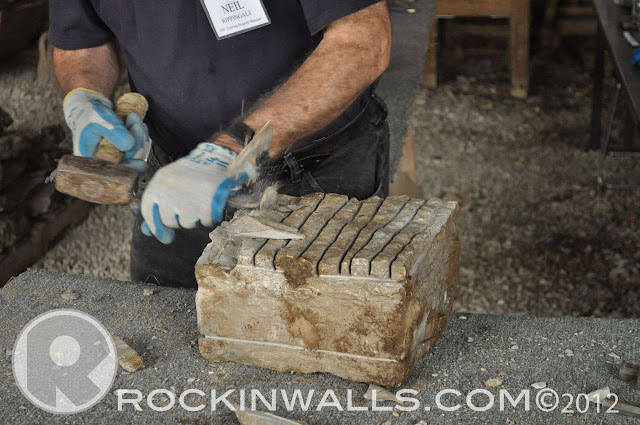 Then he takes the stone and uses a chisel or hammer to knock off the cut sections in order to get the stone to the desired shape. 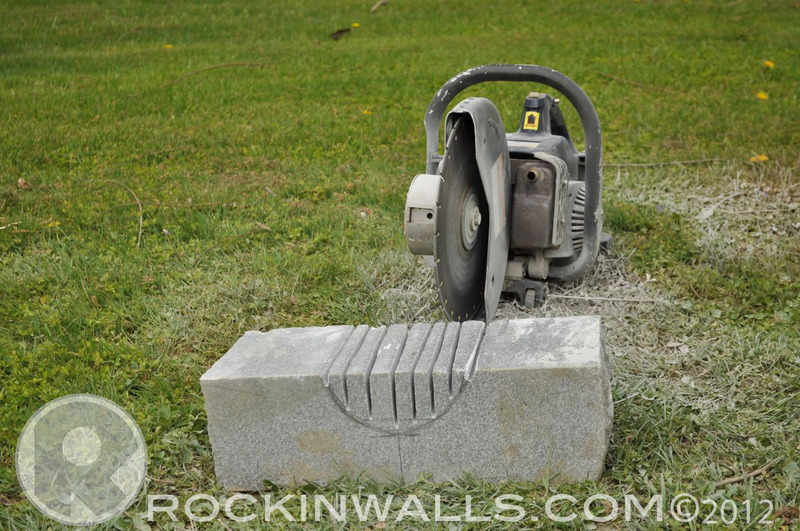 Notice the small cut marks on the stone from the saw. These are used once again as a gage to mark how far down to cut. Neil then finishes cleaning the stone up with a chisel. The stones we were helping to cut and shape are for a stone arch. This will be displayed at one of the garden shows. 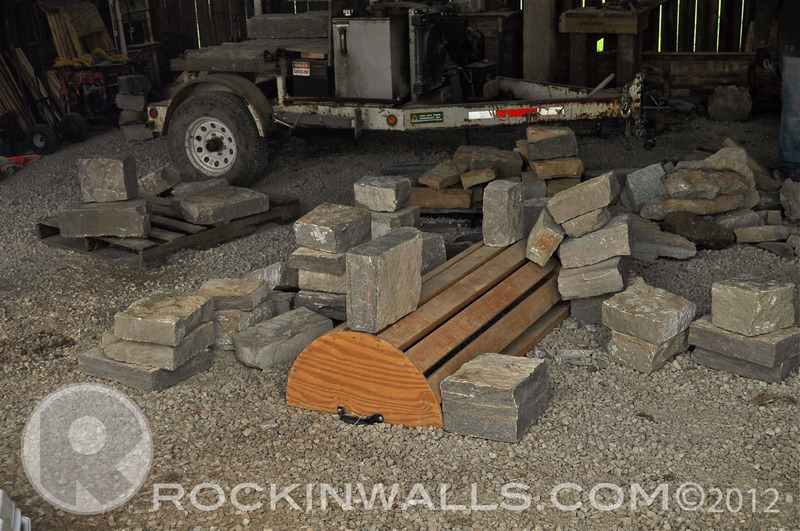 Then the arch will be moved back to the property to be permanently installed at Shaker Village. Above shows the wood frame for the arch. 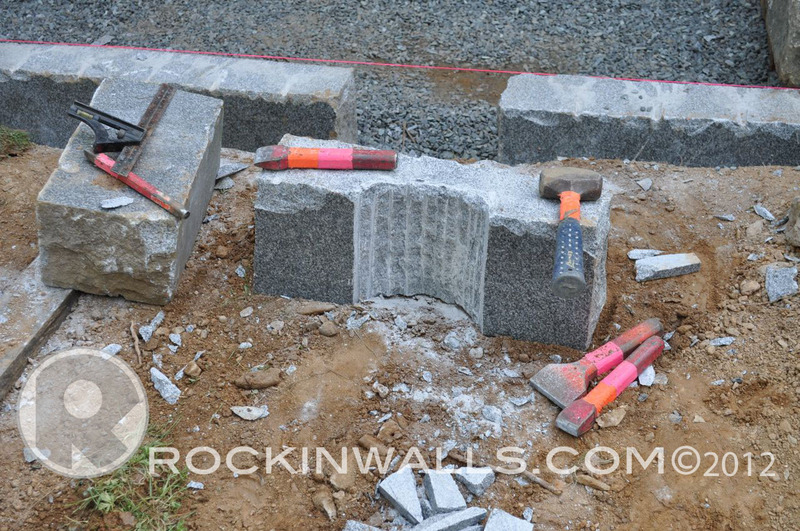 Along with several of the stones to be shaped to size for the arch. On my last job (Appaloosa Way) I had the chance to use this technique. 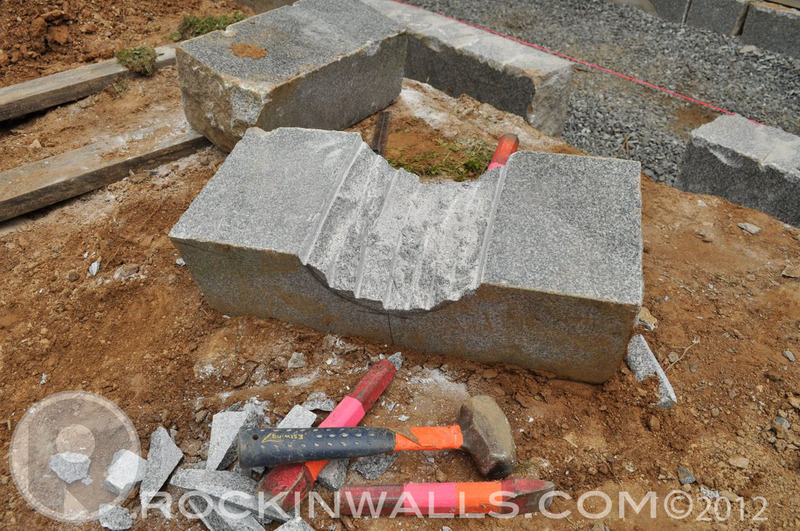 I had a cement pillar I needed to cut a granite edge stone to fit around. I started by marking out my stone. Then I stared by cutting into the middle to get my deepest cut. I then continued by cutting to the left and right of my center line. Cutting the the depth of the marking on the stone. Then it was time for the hammer and chisels knocking it all out. Then spending a little more time shaping with the chisels. Cleaning up all the edges. Voila! 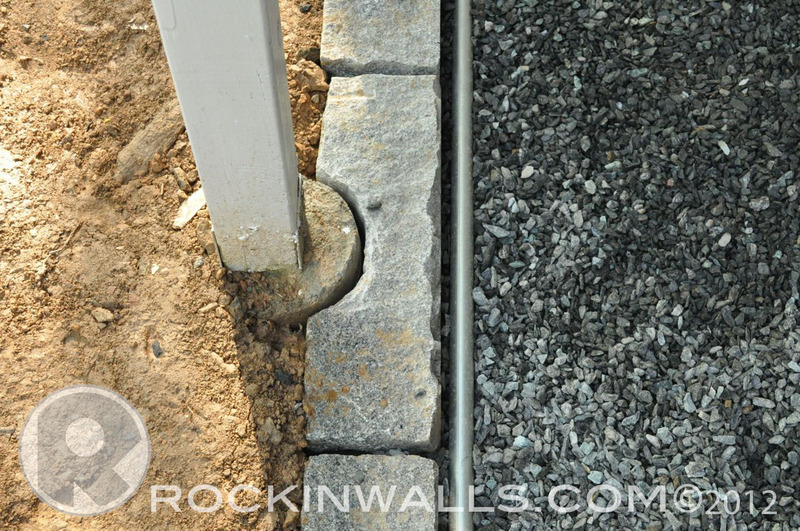 The stone in place around the cement column. This is a great way to help shape stones quickly to the shapes you need. 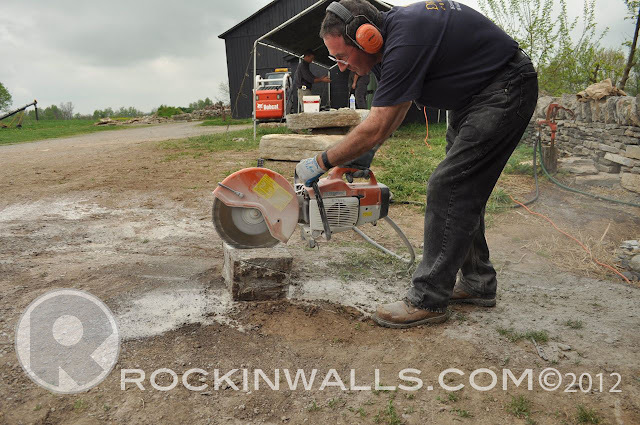 You do need a gas cement saw to take on this challenge. If you have never used a saw be sure to be extremely careful. Wear protective gear, mask, eye, gloves, steel toe boots and ear protection. Consider working with some who has before you take on this task for the first time.